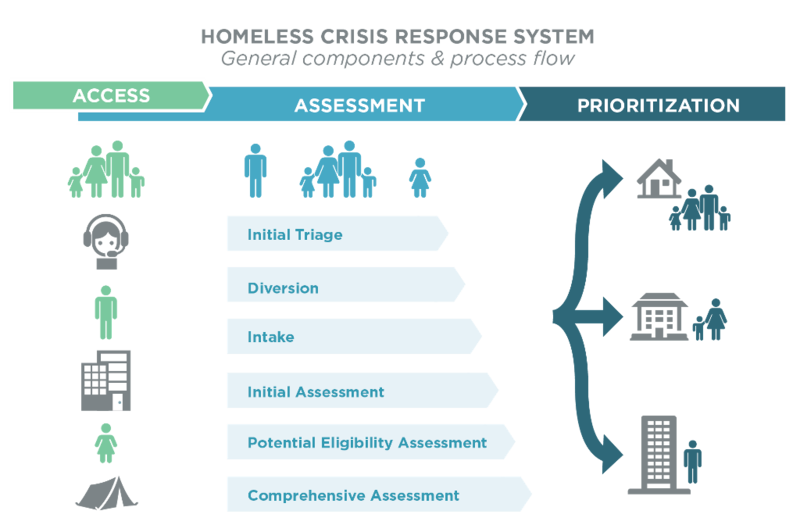 Over the coming months, the Systems Strengthening Partnership will be publishing a series of posts about dynamic prioritization—an approach to serving people experiencing homelessness that seeks to ensure that those with the greatest needs receive immediate support. We’ll be exploring what works, what doesn’t, and what we still don’t know. The Systems Strengthening Partnership is a collaboration between the Center’s experts and communities that have been pathbreakers in creating effective systems to end homelessness. The Partnership is a community of practice that develops new approaches and best practices for planning, governance, and management of services for people experiencing homelessness. We expect to produce lessons for strengthening homeless services systems that reach beyond members and assist other communities across the nation. The founding partners are Columbus, Ohio; Hennepin County, Minnesota; Los Angeles, California; and Richmond, Virginia. If you have questions about the Systems Strengthening Partnership, please contact Matt White at Matt_White@abtassoc.com.